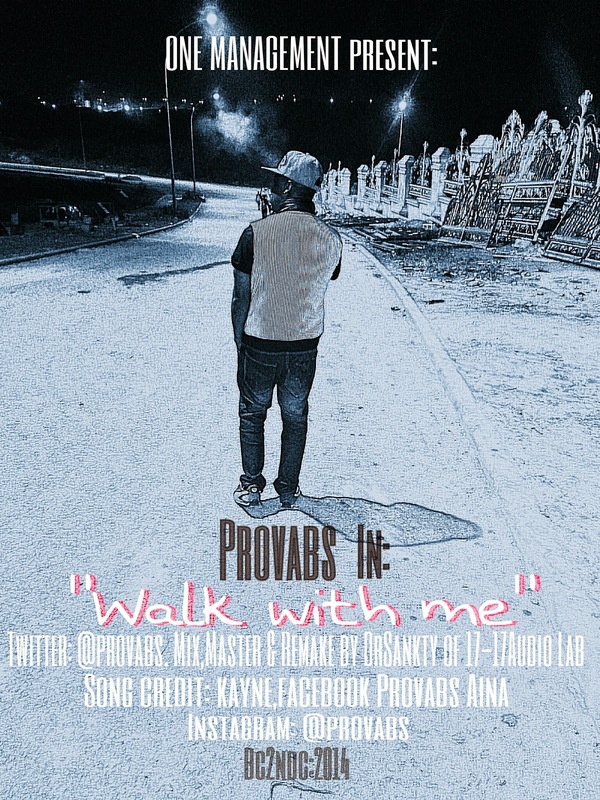 #WalkWithMe is a "REMAKE" to a very Timeless Song, reproduced & Mastered by @drsanky of 17-17Audio Lab, Rewritten by @Provabs & Released Under the Umbrella of ONE MANAGEMENT. Here what Provabs is saying about the song. ''Twice it's been said, & twice it would be heard! So LISTEN!!!!! "The Emphasis" is simply this,"I NEED THE FATHER TO "Walk with Me". We all do. Especially in these times & Season. Our existence is highly dependent on HIM. "Ask & you shall be given" Don't forget: The methods may Change, but the Principles remains the same''. Listen, download and share .